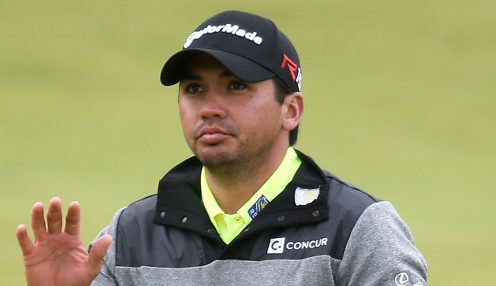 Jason Day has a second and a third to his name at the Masters and will hope to finally hit top spot when he makes his eighth appearance at Augusta this week. Day took an instant liking to Augusta National when tied second on debut in 2011 and two years later he finished solo third. Apart from a withdrawal in 2012, he's never finished worse than tied 28th and added another top 10 in 2016. If I can get myself on the greens and give myself the opportunities, hopefully the putter will take over. This season, he's teed it up just four times, but on his first two starts of the campaign he captured the Farmers Insurance Open and followed it with tied second at Pebble Beach. Greg Norman had a series of heartbreaks at the Masters, but Adam Scott broke the Aussie hoodoo when taking the Green Jacket in 2013 and Day hopes he can follow suit. Looking back to his first appearance, Day reflected: "I ended up finishing second. Had a good chance of winning the tournament before Charl Schwartzel came home in a flurry and birdied the last four holes. "And then in 2013 I was very close again. Had the lead with I think three holes left and didn't quite get it done, but Adam Scott ended up being the first Australian to win the Masters. Day arrived at the course last week and is leaving no stone unturned. "I think the preparation is huge coming to an event like this. I got here Thursday night and I've been here the last few days and just been really kind of just fine-tuning things and trying to adjust," he said. "This is a tournament that I always focused to try and win every single year, and I'm striving towards hopefully one day slipping that Green Jacket on and being able to call myself a Masters champion. "I've been putting great, so if I can get myself on the greens and give myself the opportunities, hopefully the putter will take over and I can get myself in contention on Sunday." Day is 18/1 to win the Masters and 11/2 to be top Australian, while he is available at 7/2 to secure a top-five finish.